Ghulam Mohd. 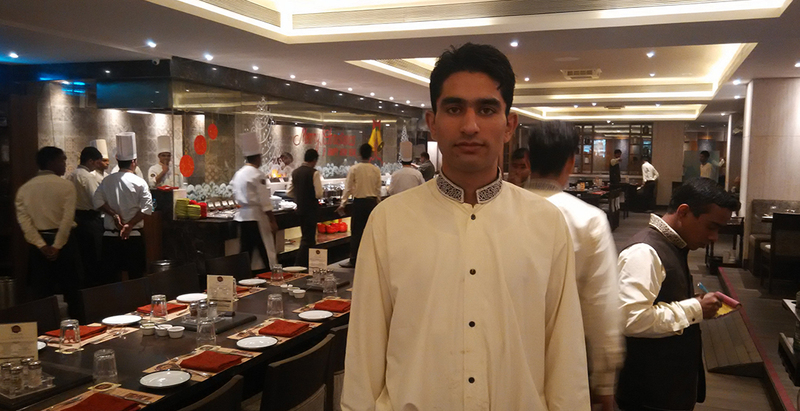 Gojar Badana is a 24 year old bright boy, who is now working successfully as General Service Assistance in Barbeque Nation. He was born in a poor family in Kangan city, Ganderbal district. The journey towards this success was not as smooth as it seems. He belongs to a Below Poverty Line category and is economically backward. He is a son of Mir Mohd. Badana, who works as a daily wage laborer in Kangan. Ghulam Mohd. Gojar Badana had a greater vision of his life and wanted to achieve that. He always looks out for an employment opportunity so that he could supplement the income and help his family. He never let his limited academic qualification come in the way of his success. During the course of his struggle to find a job with descent income, he came across the advertisement of Don Bosco Tech- Himayat in one of the local newspaper. With the hope to seek better future he reached Don Bosco Tech Centre located in Kangan the very next day to learn and understand the prospect of undertaking the market oriented courses offered in the centre. After counselling and interest inventory test, he finally enrolled himself in the three months training in Hospitality domain. Ghulam Mohd. Gojar Badana was a brilliant trainee who impressed one and all with his performance during training period. He is a keen learner and took the training seriously. He always takes the lessons taught at the centre with a positive approach and acquainted himself with the basics etiquette of Hospitality sector so that he can get a decent job in the same sector. After three months of intensive training in Hospitality domain, Ghulam Mohd. Gojar Badana finally passed out in a flying color. He being an optimistic for his career and bright future also successfully secured a job in Barbeque Nation during a campus placement. Mr. Syed Nageena (Centre Coordinator, Don Bosco Tech- Himayat - Kangan) is all praise for him. He says, “Despite coming from the poor family he had proven his mettle. He was a regular and a keen learner”. Ghulam Mohd. Gojar Badana is very thankful to Don Bosco Tech - Himayat for bringing a change in his life. “The training I received greatly infused a sense of confidence in my overall curriculum. It also taught me how to be self sustained and independent throughout my life” says Ghulam Mohd. Gojar Badana.